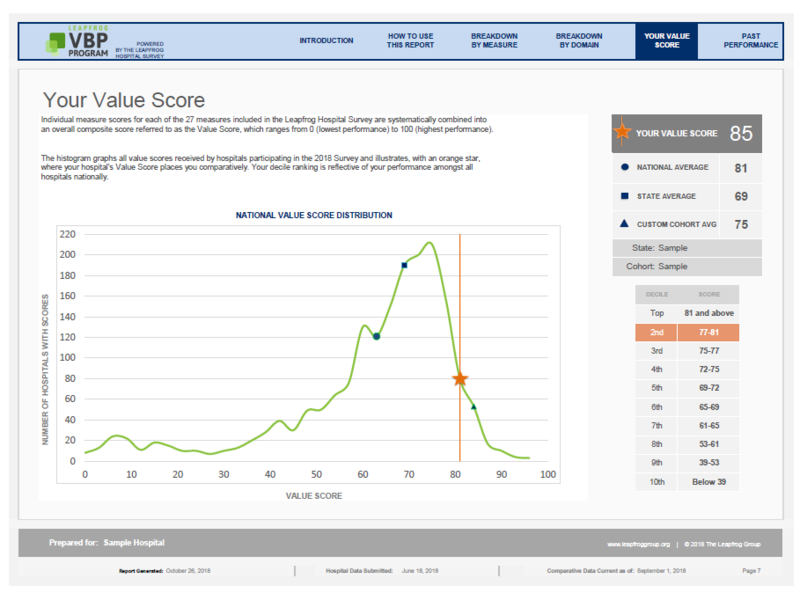 The Leapfrog Group is proud to offer competitive benchmarking reports for hospitals. Leapfrog's benchmarking reports utilize data submitted through the annual Leapfrog Hospital Survey to provide detailed, comparative performance analysis. Competitive Benchmarking reports allow you to compare critical aspects of your care to that at other hospitals in Leapfrog's database of over 2,000 hospitals. Engage board members and administrators, clinical staff and support staff, and inform quality improvement efforts with these detailed reports. More details on report types and specifications can be found on the Competitive Benchmarking page. 2018 Year End Competitive Benchmarking Reports are now available. *Please note that free summary reports, offered only to hospitals that submit a survey by June 30, will be sent to all hospital CEOs in mid-September and are not available for order through the online store.